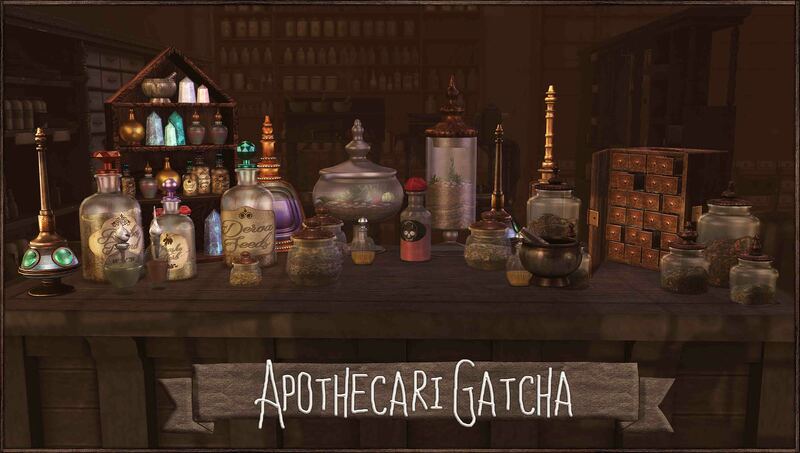 Welcome would-be apothecaries and alchemists for we have a special treat in store for you! 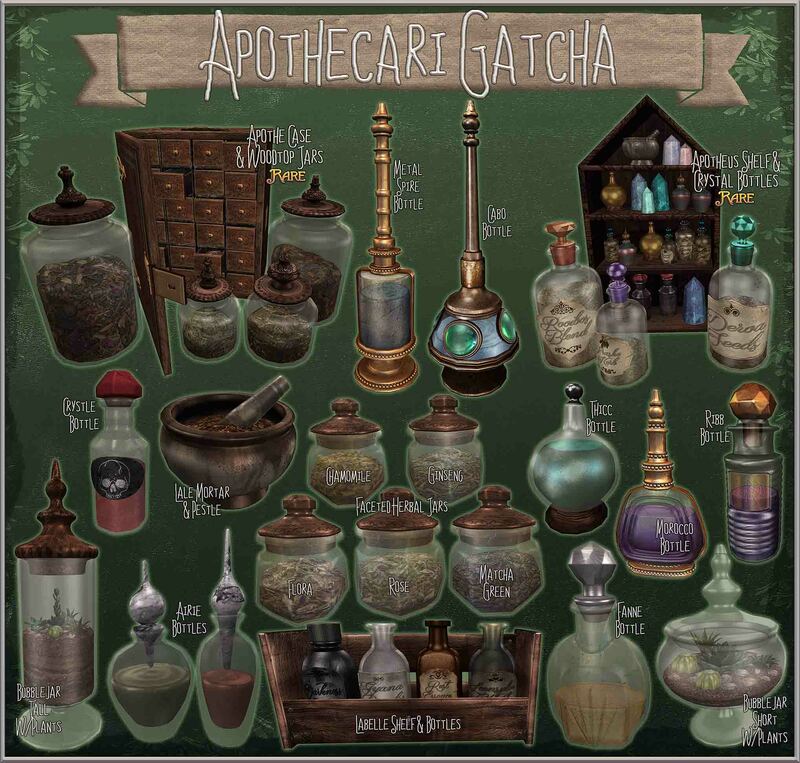 We are most pleased to announce that the Apothecari Gatcha has arrived and with it comes many spectacularly useful items! The rare and exquisite Apothe Case with it’s Woodtop Jars are great for cataloguing and storing herbs and reagents of varying quality and function! Why not pair it with the Apotheus Shelf and it’s magnificent Crystal Bottles to show off your rarest and most precious materials? You will not be disappointed with our fine collection of Faceted Herbal Jars filled with various herbs and spices, ready for use with the Lale Mortar and Pestle. Add a drop of this and that with a dazzling array of fine concoctions contained within the Airie, Ribb, Morocco Fannie, or Thicc bottles! 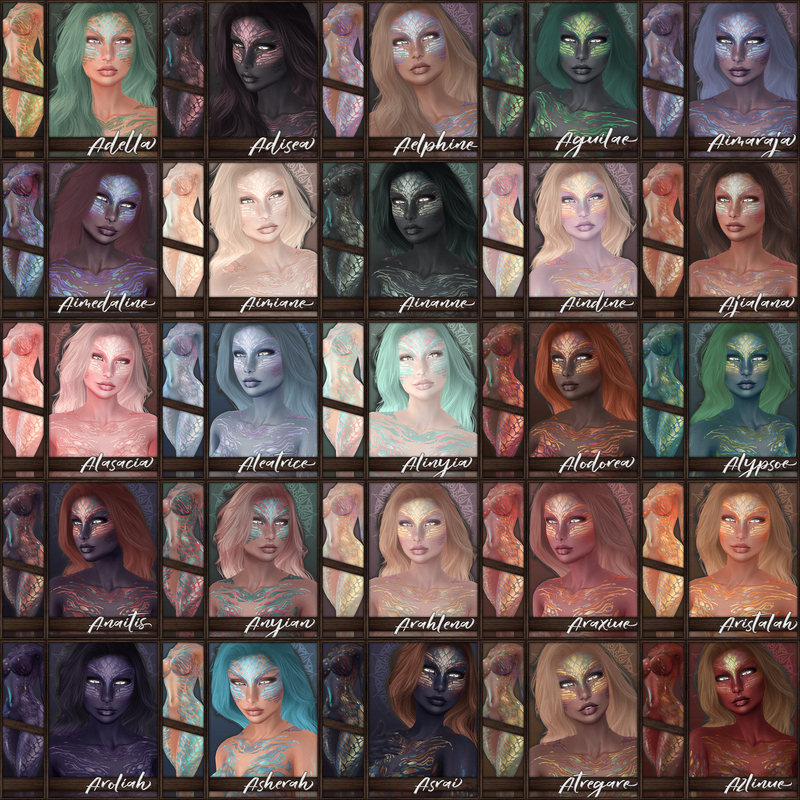 You will never run out of things to mix! Or if you’re in need of more storage space why not grab yourself a set of the Labelle shelves! Grow fresh ingredients within your brand new tall and short Bubble Jars to add to your collection! Need even more bottles? Why not try the exotic but highly useful Metal Spire Bottle or Cabo Bottle? 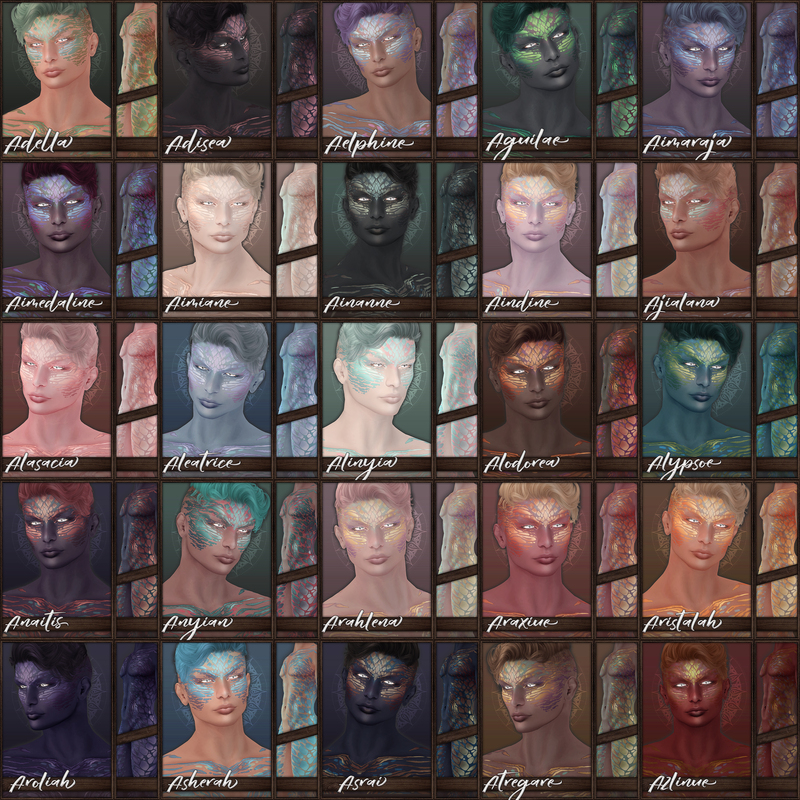 Play the Apothecari Gatcha today and aquire one of these fine instruments today! ~ by Vae on June 22, 2017.